OL Digital is the media service arm of ‘Academy For Media Learning Private Limited’ since December 2011. It aims at 360⁰ high-end services in the areas of Communication Strategy Development, Media Planning and Buying, Audio-Visual Production, Content Development and Localization, LIVE Streaming on Social Channels, Web and Social Media Management, Digital Media Marketing and Media PR etc. Understanding the client’s needs and requirements and crafting unique ways to deliver relevant approach to marketing, advertising and content creation and promotion is our forte. We understand your needs and deliver time bound services that help your business grow. Our team of cross domain experts leads the way in forming the right strategy to promote your product and engage your audience to the fullest. Nilambar rath is a senior journalist, passionate writer, media and communication expert and a new generation media entrepreneur. He has diverse experience spanning over two and a half decades of working with all core media domains like Print, Radio, Television and over six years of valuable insight into the recent boom of Digital and Social media. He is the co-founder and CEO of OdishaLIVE, a new generation home grown web channel of Odisha. He has now started OL digital, a new age media and communication agency for end to end digital solutions. Ms. Pranati Parida is one of the Directors and co-founder of OdishaLIVE. Pranati leads the Content Localization vertical of the company. It covers contemporary communication activities like translation, reviews, transcription, sub-titling, voiceover and e-learning etc. Pranati brings a diversified experience in the domain for more than a decade and is recognized as a strong hand in the industry. She is deeply involved in the area of web localization which has become the order of the day in the digital era. Pranati is a creative writer and her serious literary background and language orientation has made her stand out in the crowd. Bimal Rath, founder of Think Talent Services, has over 25 years of experience in human resource development, having worked for several Indian and multi-national organisations, including Nokia and Tata Sons. He is an executive coach to CXOs and a leadership development and culture change consultant. He has extensive experience across Asian markets in Leadership Development and helping build and coach leadership teams. His areas of expertise span across HR and talent strategy, executive coaching, top team facilitation, and culture change. Bhabani Mohanty is a new generation HR professional having more than 15 years of experience in Pharma, IT, Telecom & Manufacturing organization like Novartis, Oracle, Murugappa Group and also shown tremendous entrepreneurial zeal through setting up his own business. His experience in working in different parts of the country has given him holistic view of cultural diversity at work. He is an MBA in HR. He is a certified SHL Assessor and designed & conducted numerous assessment centres for the organisations he has worked for. Apart from the Directors, OL Digital believes a strong team can take any seemingly impossible vision and turn it into reality. OL Digital has a full-fledged, professional, skilled and stable team in the domain of digital & social media, communication and production. The core team includes senior most industry leaders and journalists to handle assigned jobs for audio-visual, digital media, print and outdoor etc. The Team has been handling media and communication campaigns and creative production projects covering various formats and media. The team has got a brilliant composition with skilled and experienced professionals like journalists, media managers, communication and advertising experts, visualizers & creative designers, copywriters, editors and translators etc. Apart from this, a number of freelance consultants are regularly associated with OL Digital, as and when required. They comprise of noted filmmakers, directors, creative designers, camera persons etc. who handle films, audio-visual, new media and multi-media assignments. 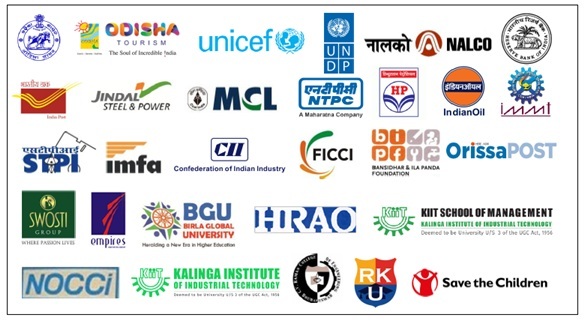 OL Digital is actively engaged with diversified clientele including Govt. Departments, UN Agencies, Corporate, International Development Organizations, Non-Government entities and Academic Institutions.